Seymour Duncan created the JB and Jazz ModelTM pickups for London's rock royalty--years before he and Cathy Carter Duncan started Seymour Duncan Research Labs. When the new company added production pickups to its menu of custom services, of course the JB and Jazz were among the first offerings. 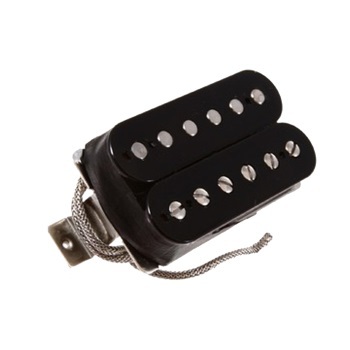 Before long, the JB ModelTM became the world's most popular humbucker. Today we wind the JB and Jazz exactly the same as in the early years, but with modern updates for today's guitarists, like four-conductor lead wire, sand-cast magnets, polycarbonate bobbins (which can better handle our vacuum wax-potting process), and short-legged bottom plates. For a limited time--one year only--we're proud to offer this 35th Anniversary Commemorative JB/Jazz Set. Like the earliÂ¬est production JB and Jazz, these special Commemorative pickups will have single-conductor wire, rough-cast magnets, butyrate bobbins, and long-legged bottom plates featuring a special laser-engraved 35th Anniversary logo. The bridge model is designed for bridges with traditional string spacing of 1.925" or 48.9mm measured over the bridge pickup.